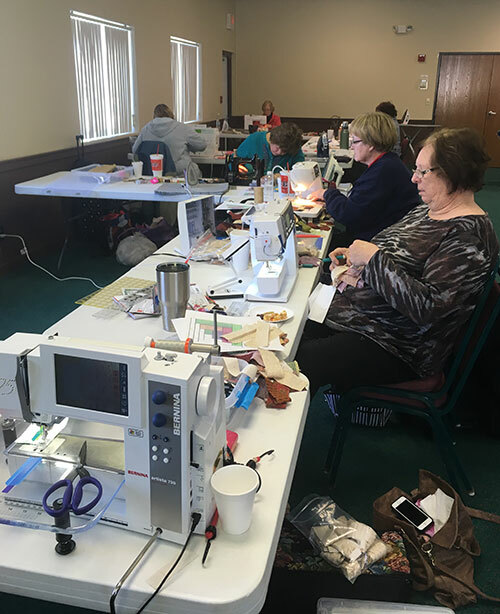 My local quilt guild had a retreat in January and the coolest thing happened. 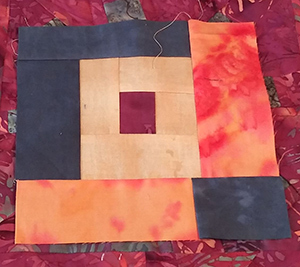 It started me thinking about the ways quilters can connect when we have nothing in common but our passion for patchwork. The retreat was in a large conference room at a small hotel. One evening as she walked through the lobby, an out-of-state hotel guest heard our instructor’s voice. She recognized the language of quilting, so the next morning she dropped in on us. It was so much fun! 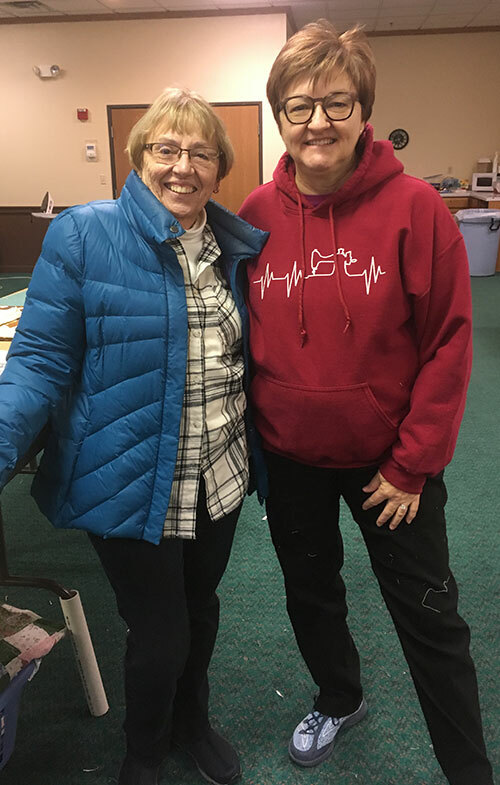 Here’s a quilter from Minnesota, on the way to her granddaughter’s gymnastics event in Arizona, and she stumbles across our quilt group on retreat. And even though we’d never met, we had plenty to talk about. She showed us her road trip project of embroidered snowmen and we oohed and ahhed. We showed her what we were doing and she did the same. We will probably never see her again, but in those brief moments, we had a new friend because we all spoke the language of quilting. I that thought was so cool.